"Fun, fabulous, and quirky. 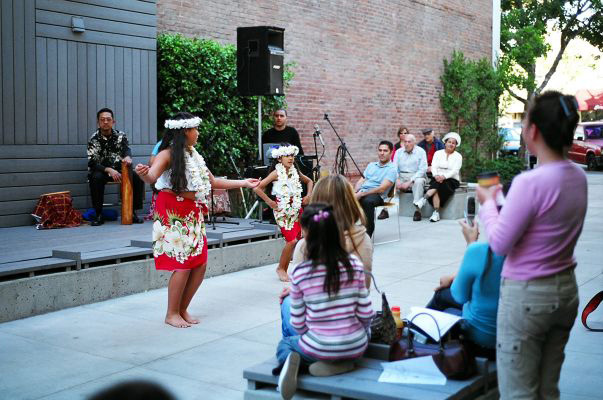 Exactly what an urban pocket park should be: playful." 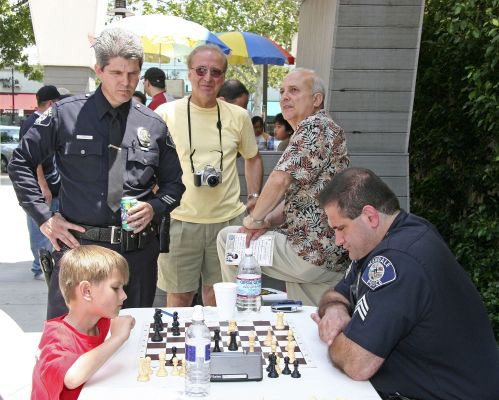 Created as a part of the City of Glendale’s efforts to redevelop its downtown core, the 4,500-square-foot Chess Park provides residents, the Glendale Chess Club, and other community organizations with a multi-functional urban pocket park that fosters and celebrates artistry, gamesmanship, intellectual debate, and challenge. 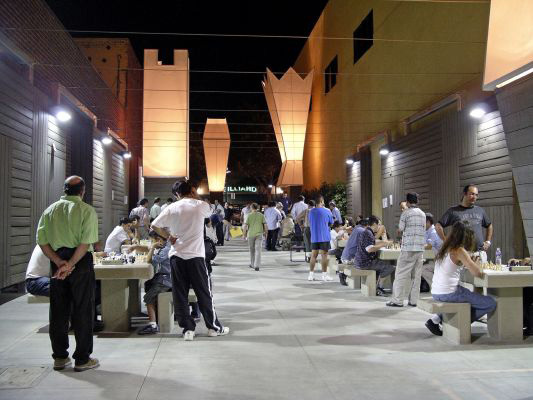 The park is located in a previously underused passageway which runs between two retail shops in the Brand Boulevard business district, connecting a city parking structure to the bustling streetfront shops, restaurants, and theaters on Brand Boulevard, Glendale’s main thoroughfare. 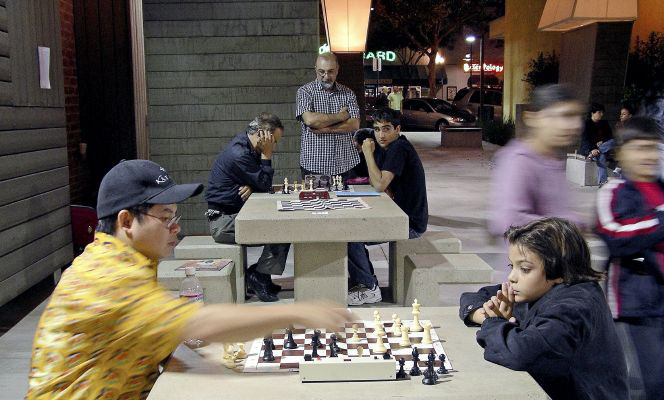 The Glendale Chess Club was instrumental in creating the Chess Park, having approached the city government as a group to request that the City designate a space where its club and others could play. 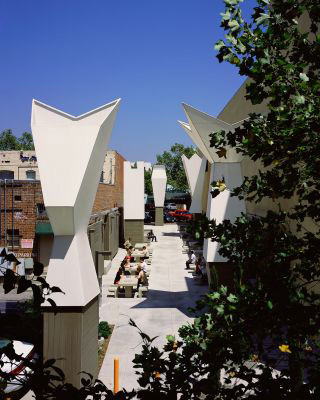 The City’s solution was to utilize the undeveloped Brand Boulevard passageway. 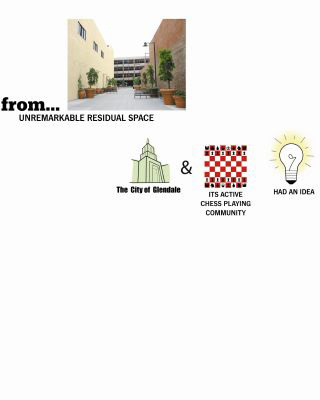 In an unusual partnership, the City of Glendale brought the Landscape Architects together with the Chess Club to ensure the design program met the organization’s playing needs and celebrated the rich history and traditions of chess. 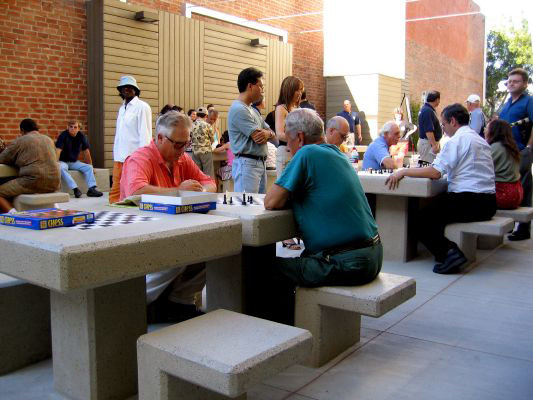 The Landscape Architects’ design program for the park found its roots on the history, lore, evolution, and rituals of the game of chess and its pieces. 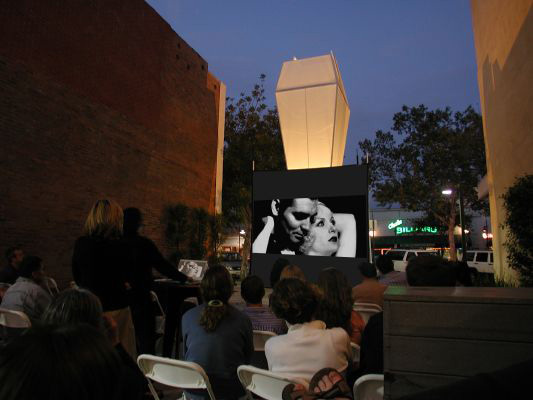 Ideas about form, function and meaning that describe the game as an instrument of culture drove the development of the park elements. The park's spatial patterning is reminiscent of the strategic movements made in chess. 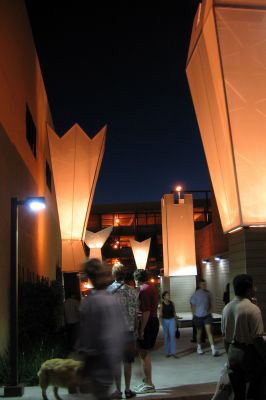 Distributed along the length of the park are five giant light towers that are abstractions of the shapes of the King, Queen, Knight, Rook, and Pawn. 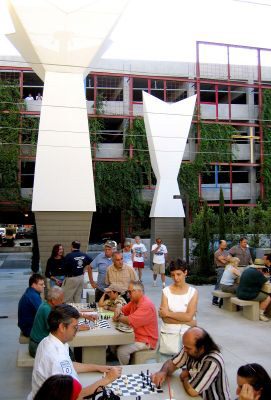 Inspired by Isamu Noguchi’s famous lanterns, the 28-foot-high lanterns - clad in gray, recycled-wood/polymer siding and topped with synthetic mesh canvas - represent an evolution of the ancient chess figures. 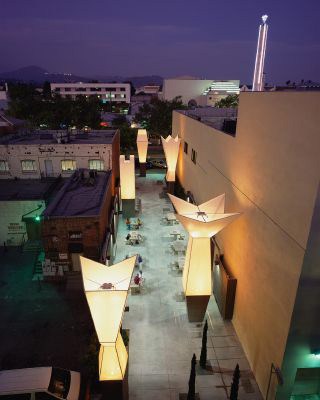 Fabricated by a fine art engineering and fabrication firm with roots in the Glendale community, the towers have a dual function of providing space for performances, signage, and storage, in addition to being a symbolic presence. 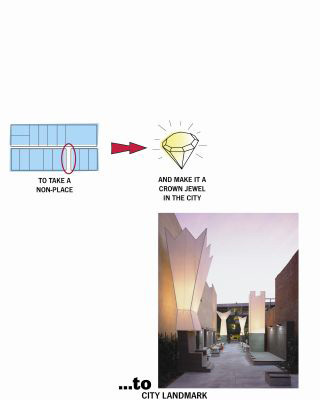 The park is organized into three zones to bring clarity to the different design elements. The gaming zone is in the center of the space. To the east, the boulevard zone borders the street. To the west, the buffer zone borders the alleyway. The Bishop Tower stands at the entrance of the boulevard zone. It acts as a messenger by carrying the park’s entrance signage. 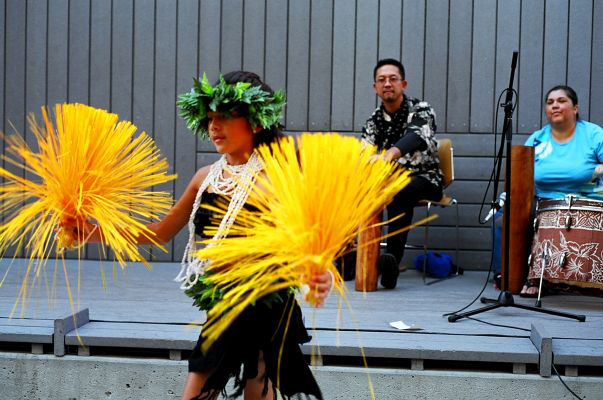 Nearby, the King Tower sits as a giant, story-telling throne where community groups can engage in outreach activities, such as performances and book readings. 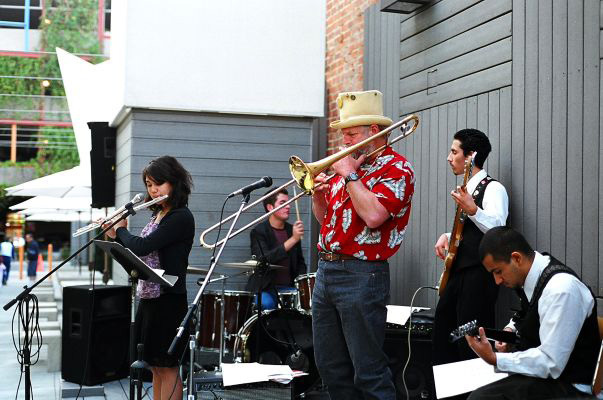 Across from the throne is a platform where musicians, actors, and artists can gather together and showcase their talents. The Rook Tower, in the shape of an abstracted castle, is next to the stage, providing storage and technical support for events. 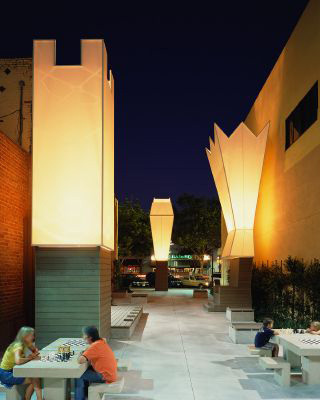 Low concrete “Pawn” benches with recycled wood-polymer lumber tops provide seating for local workers to enjoy their lunches or coffee breaks. The interior perimeter of the park is lined with screen walls of gray recycled-wood polymer lumber, providing a monolithic backdrop for the towers and bringing the park a sense of scale.